Nous sommes idéalement situés en plein coeur du vieux San Juan, dans une rue emblématique pavée. Venez séjourner dans notre grenier intérieur colonial bien décoré (pas de fenêtres) avec une hauteur de 19 pieds de plafond. Nous vous fournissons un lit queen size à mezzanine, 1 futon pleine grandeur au premier étage, 1 salle de bains (douche), cuisine complète, TV avec ROKU et lecteur DVD, micro-ondes et bien plus encore. A AC et est entièrement équipée. Old San Juan est la nouvelle Caraïbes gastronomique Capital. Nous sommes à quelques pas de l'Unesco patrimoine mondial espagnoles Forts: San Cristobal (1 minute à pied) et San Felipe del Morro (8 minutes à pied). Aussi quelques pas de l'océan Atlantique (1 minute à pied Distance), baie de San Juan (4 minutes à pied), boutiques de créateurs, bijoux, restaurants, pubs, discothèques et musées. Clean, great location, in a historic building, stayed two weeks. Was our home away from home. Felt like we were locals. Plaza Colum, free bus, great restaurants 1/2 block away. Otherwise cook in... grocery store very close. Great place, very clean, cozy!!! I had to flight last minute to Puerto Rico and while looking for a hotel I found this place. To be honest I wasn’t expecting to be that great but for my surprise it was amazing. The apartment was clean and full of character. The location couldn’t be better close to everything. I would not think twice to stay at the loft again and again. Ben C.Tucson, Arizona - U.S.
Had a fantastic time and this was a VERY nice and clean and charming and comfortable little place to stay. It is worth noting there are no windows or outside balcony, but hey that got me off my rear end and out and about making the most of my stay. Karina and Margarita and Natalie were very accommodating and available to answer any questions. I recommend! Nice quiet spot in the middle of Old Town! Safe and clean with everything you need! This was a great spot for everything close to Old Town! My husband and I stayed with our two kids and it was a little cozy but worked perfectly for us! Also keep in mind that this unit does not have windows to the outside. We were gone almost all day so it wasn't too big of a deal. Enjoyable stay, clean and quiet area. Stayed here 3 nights, all was very clean, I had everything I needed to make my stay comfortable. Close to great restaurants, and I enjoyed taking my morning jogs to the close by San Cristobal and Morro. Very quiet area, slept very well. The owner was very pleasing and accommodated me with my needs. She is very accessible too. 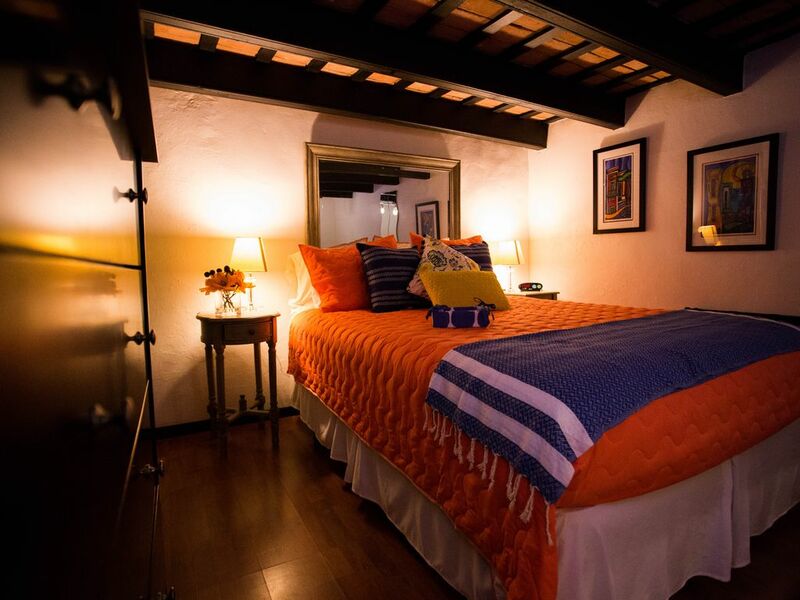 You get the vibe and feeling of a resident living in old San Juan by staying there. Very safe too. If you'd like to stay 2 nights only, an additional fee of $15 per night will be added. Booking subject to signed lease agreement.